Many of today’s life-saving medical and surgical procedures were first discovered by or refined by the military. 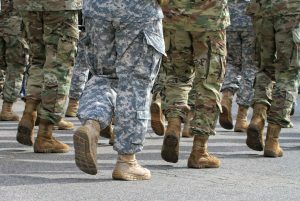 The nature of war results in numerous wounds that must be treated immediately, but there are also many wounds, conditions, and illnesses that require follow-up or later diagnosis and treatment to allow servicemen, servicewomen, and veterans, to live their lives to their fullest potential. Sepsis has always been a significant problem on the battle field. Infections ran rampant before the discovery of penicillin. Its use with the soldiers during World War II saved many lives, resulting in people calling it a miracle drug. As antibiotics became more widely available and more types of antibiotics were developed, they continued to save millions of lives around the world. Yet, sepsis remains a serious problem and the military continues to dedicate resources into helping identify and treat sepsis, and the long-term effects that affect many sepsis survivors. In early 2016, the authors of a study published in the journal Military Medical Research stated, “The greatest danger after hemorrhage in both civilian and combat-related injuries is sepsis.” This article reviews the whys and hows of infection prevention, as well as managing organ dysfunction that can result should an infection take hold and trigger sepsis. The authors also discuss how trauma itself can affect the body’s immune response, potentially increasing the risk of sepsis. Once sepsis is suspected or diagnosed, time to treatment is of the essence. Sepsis has a golden hour just as heart attacks and strokes do. Every hour that a patient with severe sepsis does not receive treatment, his or her chances of survival drop by approximately an average of 8%. There is a push to use the Military Acuity Model (MAM) in civilian, Veterans Administration (VA) and Military Health System (MHS) hospitals. The MAM acts like an early warning system for patients, tracking multiple health data points and assigning a numeric score for each patient. This score can help healthcare providers, regardless of experience level, to identify patients at higher risk for changing conditions or unwanted outcomes, including sepsis. Other research is looking at new treatments for sepsis, aside from the administration of intravenous (IV) fluids and antibiotics. In 2014, a study published in the journal Nature Medicine, evaluated the use of a biospleen, which could possibly cleanse blood of infection. This study was partially funded by the Defense Advanced Research Projects Agency (DARPA). This research is continuing. Many sepsis survivors are left with long-term effects caused by sepsis, called post-sepsis syndrome. The effects can be obvious, such as amputations; hidden as with chronic pain and fatigue, or cognitive changes; or mental, such as post-traumatic stress disorder (PTSD). The U.S. Department of Veterans Affairs recently undertook a study to determine the long-term consequences for veterans who develop sepsis. Their study looked at data from 39,264 veterans who had been hospitalized with severe sepsis and the researchers were examining the challenges of the prognosis of their patients. Military research into the various aspects of sepsis prevention, diagnosis, and management is ongoing. Sepsis continues to be the most expensive condition treated in acute care hospitals in the U.S., and it has considerable cost for the Veterans Administration for both acute care and long-term care.